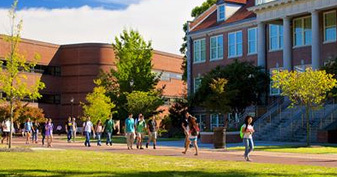 One of the largest public universities in North Carolina, East Carolina University (ECU) enrolls over 28,000 undergraduate students on its main campus in Greenville, NC. While 76% of its students receive financial aid, 100% of its students will eventually head into the highly competitive 21st century workforce. Like most other college career centers across the nation, ECU career counselors face many challenges helping undergraduates develop career plans that are aligned to each student’s unique interests and academic pursuits. The pressure to better prepare college graduates for success in the workforce is enormous. To meet these challenges head on, ECU’s Career Services Center implemented VirtualJobShadow.com in August 2016. Even in the first few months, ECU has seen significant results. Read their full story below. In the summer of 2016, Patrick Roberts, Assistant Director of Career Services at ECU, was looking to purchase interest assessment software for his career counseling staff. In particular, he wanted assessment software with built-in career exploration resources, which would limit the number of resources students and staff would need to navigate while planning for careers. A major challenge facing the counseling staff was getting incoming freshman and undergrads to take control of their future and plan a career path to fit their interests, skills, and programs of study. Counselors felt overburdened with the five or more disjointed resources in the center and students were failing to become engaged. When Roberts registered for a VirtualJobShadow.com demo, the engaging videos immediately captured his interest. “This generation, growing up with the internet, are much more likely to click on a video than they are to read an article, so we really like that feature. 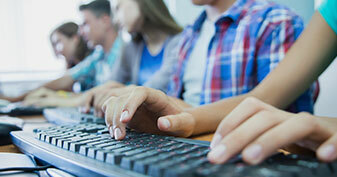 That was really what sparked our interest in VirtualJobShadow.com,” said Roberts. Once Roberts and his staff saw the comprehensive career planning tools integrated into the platform, they decided VirtualJobShadow.com was their ideal one-stop solution. In August 2016, East Carolina University incorporated VirtualJobShadow.com into their Career Services website; within weeks, students created over one hundred accounts without the Career Services Center even advertising the new resource. Counselors are now using VirtualJobShadow.com with students during one-on-one sessions and have seen positive results already. Roberts particularly appreciates how students can use the platform to search for jobs and “see the light at the end of the tunnel” when they explore career pathways. In the coming semesters, Roberts and his staff intend to further incorporate VirtualJobShadow.com into their career services, including integrating the tools into ECU’s mandatory freshman seminar on life skills. 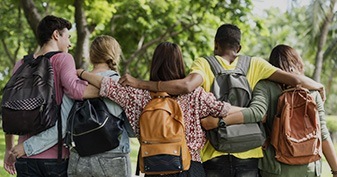 East Carolina University, like many colleges around the country, are finding that it has to do more to help undergrads stay on track to graduate and become better prepared to enter the workforce.